Take advantage of recreation opportunities including an outdoor pool and a 24-hour fitness center. Additional features at this hotel include complimentary wireless Internet access, a picnic area, and barbecue grills. When you stay at Days Inn by Wyndham Greenwood SC in Greenwood, you'll be next to a golf course, within a 5-minute drive of Greenwood Community Theatre and Greenwood Museum. 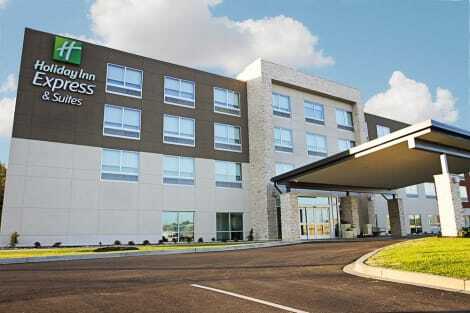 This golf hotel is 1.7 mi (2.8 km) from Lander University and 12.6 mi (20.3 km) from Abbeville Opera House. 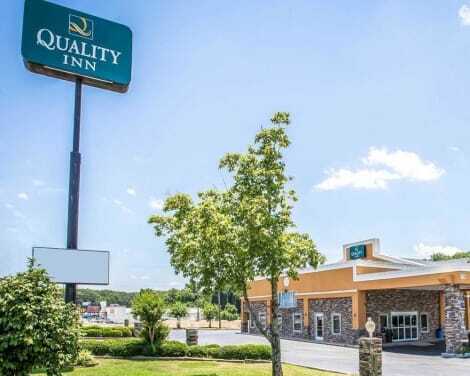 Conveniently located in the center of Greenwood, SC's shopping and dining district, the Holiday Inn Express Hotel & Suites Greenwood, SC is easily accessible from Hwy US-25 & SC-72 and within walking distance from Greenwood Mall. Corporate guests will appreciate our close proximity to area businesses, including Capsugel, Carolina Pride, Colgate-Palmolive, Cooper Electric, Covidien, Eaton Corporation, Fujifilm, Kaiser Aluminum, Self-Regional Healthcare, Sykes Enterprises and Velux. Our world class service and beautiful, contemporary décor creates the ideal launching point for discovering the many nearby attractions and world renowned festivals & tournaments in and around Greenwood, SC, including Lander University, Lake Greenwood, Emerald Farm, Railroad Historical Center & Museum, Festival of Flowers, Festival of Discovery, Catfish Festival, Ninety Six National Historic Site and the Masters tournament in Augusta, GA. Whether traveling on business or for leisure, our hotel features all the amenities to make your stay a perfect one, including a 24-Hour Business Center, High Speed Internet, Outdoor Pool with Fire Pit, Fitness Center, 24-Hour Market Shop, Guest Laundry Facilities, Flexible Meeting Space and Complimentary Express Start Breakfast Bar. Each of our 86 stylishly appointed guest rooms feature a 42” TV, micro fridge & Keurig Coffee Maker, large work desk and connectivity panels at both desk and night stands to keep all your items fully charged and connected.